“This is a somewhat classical score, in the sense that it’s built on different leitmotifs, each associated with a character or a narrative line of the plot. Whilst the music has a structure mostly melodic and harmonic based – like most old school scores – played mainly by a large string section, there are abundant contemporary sound layers enriching the palette, in an attempt to hear a dialogue between the ‘old and the new’ languages. An ambitious lawyer Ben (Josh Duhamel) finds himself caught in a struggle between a corrupt pharmaceutical executive Denning (Anthony Hopkins) and the firm’s partner Abrams (Al Pacino). The case takes a deadly turn and Ben must uncover the truth before he loses everything. 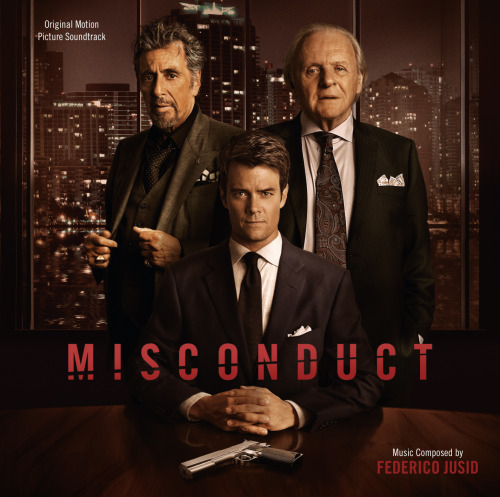 The movie soundtrack of Misconduct will be released on February 5, 2016 by Varese Sarabande.